Things are different. Most I talk to say that their business is down from the last few years, but surprisingly, most also say they are holding their own. This doesn’t apply to all industries, but there is still hope out there to be sure. In this downturn in the economy, we are all looking for a way to increase sales. What used to work to make the phone ring just isn’t anymore. I always hear my clients say “But I need to do something right? I’m making less than last year. We’re ok but I need to ‘do’ something to get our sales going again.” They get hit, sometimes hourly, with promotion ideas and on/offline marketing pitches for the latest ‘increase your sales” pitch. But how do you know which tactic is right for your business? To answer that, we have to go Back to Basics…. I’m not sure why business owners don’t “Do” a marketing plan. I’m sure I can guess, but most business owners I see usually have an idea of a plan but just “have it in their head’. Which is fine and a good place to start, but all that ‘planning’ in your head can also just give you a headache! You see, marketing is not rocket science; it’s an application of principles to transfer goods/services between two parties. Not complicated stuff really. The complicated part is the application – how and what marketing tools to use for your business. Not every business is the same – even in the same industry. That is why I say don’t just follow what your competition is doing, do what will work best for your business. First, Relax – you can’t be your “best business self” and work ON your business objectively when stressed. If your business is doing ‘ok’ at the moment, then enjoy that fact. Not everyone can say that…there will be casualties in these economic conditions. Secondly, Look at your business objectively. Financials – Call your accountant if you have one– they LOVE numbers. Then just ask them a question. For example, Can you chart my sales by month with line graphs for the last 5 years? This chart will show you monthly trends for your business. And what do you DO with this information, well, if you know you’re normally down in a certain month – plan on working ON your business during that time. If you do your own ‘books’, look at all the report features of your software. Chances are you can create your own charts and start to see trends in the data. Ask – what does my business currently do well? Be objective now, and ask “How can I leverage that into a new idea?” For example, a new product line? Or a different pricing package? Ask – what does my business NOT currently do well? Is it customer service? Or product quality or something else? Identifying what your company doesn’t do well can highlight an opportunity for your business to do better. For example, beef up customer service if your ratio of inquires to orders is low. Also, Look at your industry or another industry objectively. Is there something new? Is something becoming obsolete? Is another industry just waiting for my product/service? For example, if you have a personal training company and normally sell to individuals, how about a package deal for an entire company’s employees? Different target market to be sure but the same service. The key here is to think creatively how a product or service you offer – or COULD offer – would benefit your current target market or a completely new target market. 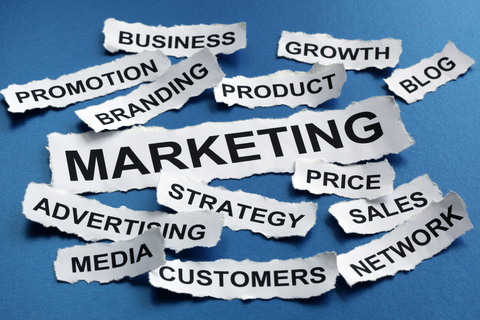 These are just a few of the many different areas of a marketing plan to get you started. The first step though really is to know where you’ve been, where you’re at now, and where you would like to go in the future with your business. If you take an objective look at your business, you can determine who your target market is, and the best way to reach them. You can also see the opportunities that can increase your sales.